This week’s interview is with Ian J. Malone, who I met while on the same panels at a number of conventions. He writes SF, including a short story in For A Few Credits More along with me. He’s also a guy who works hard for all of us independent writers. At least once a week, he’s posting useful links or websites in his Facebook group the Alliance for Indie SF&F Authors. If you’re an independent writer, it’s a good group to keep track of. Anyway, here’s the guy himself. I’m easy to peg on that one, brother. I aim to live on the beach one day, making enough money as a full-time SF author to support my family. That’s it. If I can pull that off, I’ll be over the moon. 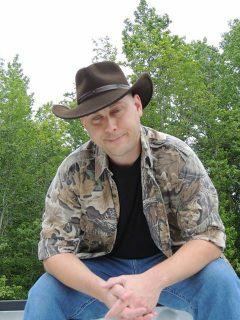 As the tagline goes, I write “character-charged sci-fi with a shot of country.” That’s a fancy way of saying I write stories about every day, blue collar folks who wind up in situations that aren’t so every day in nature. Most of the time that involves high flying space ships in some capacity, plus aliens, other worlds, AI, and so forth. Inevitably, though, most of my protagonists tend to be human as I’ve always found them more relatable to read/write. As an aside, I also really enjoy wearing hats… a lot. The biggest challenge I faced, particularly in the beginning, was learning how a story is supposed to look in text, on the page. I’m legally blind, and have historically done all of my reading via audio. So, when the time came to write a novel of my own, I had A TON to learn about style and technique. Example: I never knew when penning my first book that a character’s thoughts were presented in italics. You kinda don’t get that in an audiobook. I’m a chronic lister. My daily tasks at work, chores around the house, writing goals. You name it, and I’ve probably got it dictated onto a note in my phone somewhere. As social media goes, I’m also a big fan of the list feature on Twitter. I keep lists for every topic imaginable, from craft and publishing to geek culture, news and sports. Moreover, the tweets on those lists come exclusively from sources that I’ve vetted, which helps to cut down on the whole fake news thing. Crunchy or Creamy? Crunchy, all the way. Cake or Pie? Gotta go with pie, especially when it’s my wife’s homemade apple. Favorite Chip Dip? I make a Mexican layer dip that I’m told is legendary back home in Florida. Wet or Dry? Wet makes me think water, so I’ll go with that. Whisky or Whiskey? Never was a Scotch guy, so gimme that e.
Favorite 1970s TV show? 70s were before my time. Best I can do is early 80s, in which case I’ll go with Miami Vice. My Answer: Because I grew up in Hillsboro, TX in the early 1970s, which is near Dallas. I’ve been a Cowboys fan since 1973 or so. In other words, I come by this fandom honestly. Every night at Pennsic I’ll spend some time checking on Twitter and my feeds for news from Cowboys training camp. I’m really excited about this year’s team. Last year was lost to Roger Goodell being a jerk, and at some point we’ll win it all again and I can’t wait to see him have to give Jerry the Lombardi Trophy. I’m for sale “wide” in all the usual places: Amazon, Kobo, B&N, iBooks, etc. 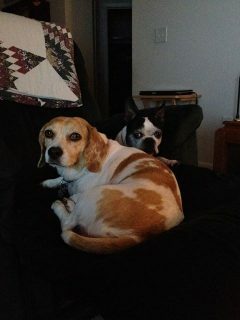 Answer: Anybody who signs up for my email newsletter at ianjmalone.net gets not one but two free short stories! The first is titled Mako: Genesis, and serves as the official prequel to my SF adventure series, The Mako Saga. The other is titled Nightfall: A Roanoke Short Story, and serves as the prequel to my new book, Colonies Lost. Subscribers will also get first look sneak peeks at new book materials, as well as occasional updates on release schedules, events, and discount/freebie promotions. Malone’s latest book, Colonies Lost, tells the story of a disgraced US Marshal who takes a freelance case to feed his family, only to come face-to-face with America’s greatest unsolved mystery: What happened to the Lost Colony of Roanoke Island? 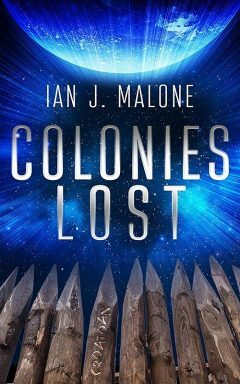 You can find Colonies Lost for sale on Amazon, or wherever ebooks are sold.